With Spring on its way, gardeners will be busy rolling up their sleeves to make the most of their garden. 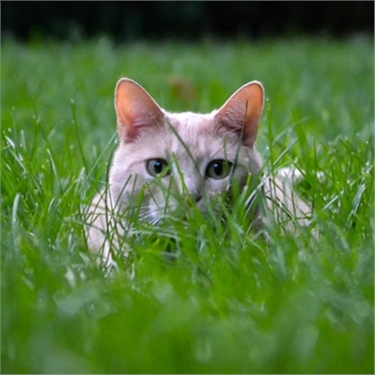 If you're the owner of a cat, however, you'll need to be wary of what you're planting. While cats are discerning eaters and often avoid eating poisonous plants, there's nothing to stop them rubbing against a toxic plant and then absent-mindedly licking their fur. Lilies are one of the most dangerous plants, from the stamen and pollen to the flower itself. Other outdoor plants to watch out for include sweet peas, snowdrops and poppies. Some of the most common signs of poisoning include increased thirst, confusion, drooling and difficulty breathing. If you're worried that your cat may have ingested something, take them to a vet immediately. Don't wait for symptoms or assume they will go away and don't try to make your cat vomit.